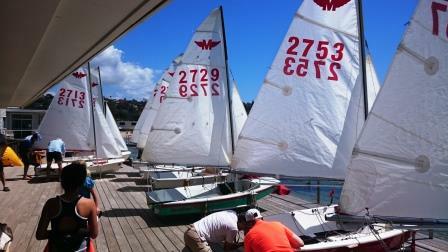 Most Sunday’s during summer the Club runs a family oriented learn to sail and ‘New Starter’ Racing program. 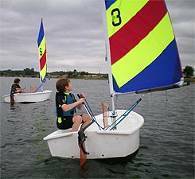 The Club provides boats and equipment enabling families to come and try sailing without needing to make a large financial commitment. For those kids who have learnt the basics they can then move on to our beginner racing program. Learn to Sail – Poppies and Beginner Racing – Manly Juniors take place on a Sunday morning in the protected waters of Middle Harbour with rescue and coaching boats providing guidance and support. More information is available – JUNIORS FLYER or contact the Club on 9932 4600 ext2 or via email – info@middleharbourskiffs.com.au.